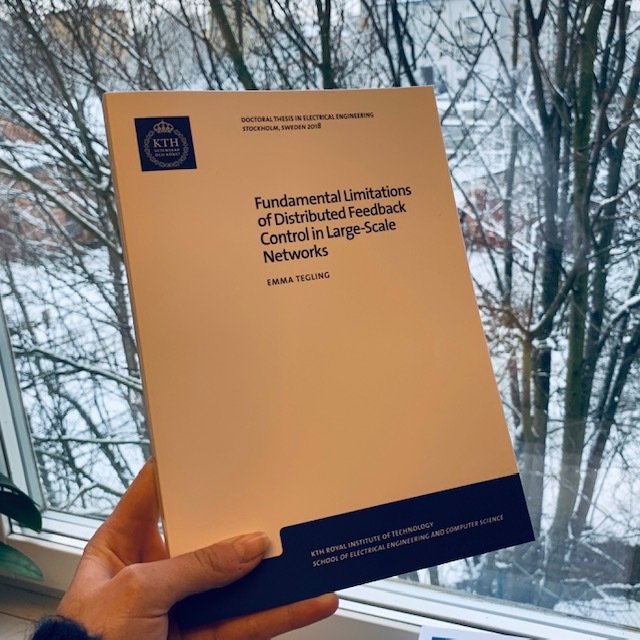 My thesis titled “Fundamental limitations of distributed feedback control in large-scale networks” was just printed. Let me know if you want a copy! My defense will take place at 2:00 pm on January 18, 2019, in room F3 on the KTH campus. Welcome!